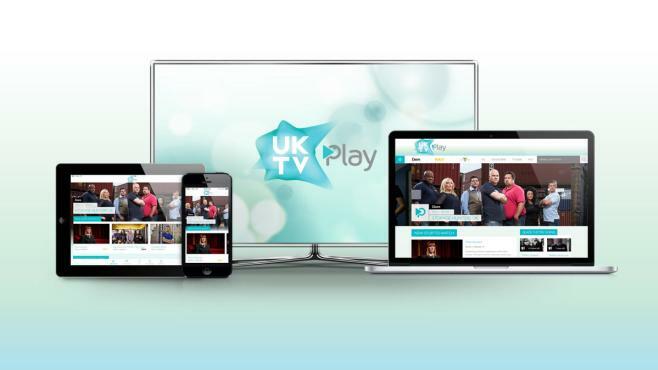 UKTV, the broadcaster behind Dave, Really and Yesterday has today launched digital catch-up TV brand UKTV Play on PC and YouView. UKTV Play, which launched on iOS earlier this year, is what UKTV calls "an intuitively-designed TV application that gives viewers easy access to their favourite shows from UKTV's popular free-to-air channels, including the UK's most watched non-PSB channel, Dave and popular entertainment channel Really." Programmes available on-demand via the service include Storage Hunters UK, Crackanory, Alan Davies: As Yet Untitled and Forbidden History, Inquisition, along with a selection of fantastic BBC programmes. The service will also include box sets and handpicked collections on PC, so users can enjoy complete series of popular shows such as Dave Gorman Modern Life is Goodish, Ross Noble Freewheeling, Storage Hunters, Lizard Lick Towing and Raiders of the Lost Art. On YouView, UKTV's popular free-to-air channels will be housed in a dedicated UKTV Play-branded area, where all customers can access a seven day catch-up service for their favourite Dave, Yesterday and Really shows. The news follows last week's launch of all of UKTV's channels on Virgin On Demand which will be accessible under the UKTV Play brand from December. Really don't get this at all! They say they have launched a PC version. You have to access it via http://dave.uktv.co.uk/on-demand/. You would think they would use http://www.uktv.co.uk/play/ to make it more like the BBC iPlayer. To me, it just looks the same. Just with new logos. Hi. Just added the quick access URL above, so you don't have to go via Dave or another channel website.